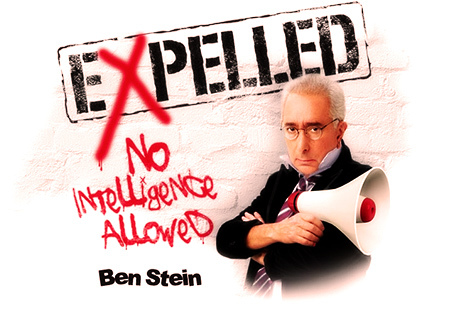 American RTL members in Denver are holding a movie marathon viewing all fifteen showings on opening weekend of Ben Stein's excellent new movie, Expelled - No Intelligence Allowed, Friday through Sunday, April 18-20. ARTL president Brian Rohrbough was contacted by the executive producer of Expelled, John Sullivan, one year before the start of production. In a three-hour meeting Rohrbough encouraged the filmmakers to expose Darwinism's connection to genocide, including Nazism and other social ills. A sneak preview attended by ARTL members confirms that Ben Stein and the Expelled producers have courageously linked the teaching that men are advanced animals, to the outcome of men behaving like animals. "A number of school shooters from Columbine to Finland justify their own wicked actions as being authorized by evolution and 'natural selection' giving them the right and even the obligation, as Klebold and Harris said in their basement videos, to murder those they deem weaker or inferior," said Mr. Rohrbough, whose son Danny was murdered at Columbine High School. "After the Rocky Mountain News ran the autopsy finding that one of the murderers wore to the crime a t-shirt that read, 'Natural Selection,' the paper's editors showed themselves to be deceptive by reporting, "It is not clear what the shirt's inscription referred to, but there is a video game with the same name." UrbanDictionary.com accurately quotes one of the Columbine murderers as writing that they would "kick natural selection up a few notches." "American Right to Life proudly promotes Expelled and encourages pro-lifers nationwide to see this historic film on opening weekend," said Steve Curtis, vice president of ARTL and former chairman of the Colorado Republican Party. "Fish eat other fish, polar bears cannibalize their young; if man is an advanced animal, there is no right to life in a dog-eat-dog world," said Curtis. "An Intelligent Designer, a.k.a. God, created us in His image and by His hand even the tiniest human has the inalienable right to life." American Right To Life's movie marathon, Expelled? Go to the movies! will be held at Colorado's Arvada Olde Town 14 movie theater from Friday April 18 at 11:30 a.m. through the last showing Sunday evening. If you're in Colorado, please pick a convenient showtime to visit our marathon and watch the movie with our members!" Columbine dad Rohrbough adds, "Expelled is already opening on 800 screens, and pro-lifers can ask other theaters near them to run the movie to hold their own marathons. The best minds in the world that promote evolution appear in this movie and we want everyone to see their superstitions and myths about mankind's origins." For more information, you may enjoy this 2015 interview of a scientist who was profiled in Ben Stein's movie, as conducted by an ARTL spokesman, at rsr.org/richard-sternberg.